We’re finally getting to that time of year when some of this winter’s finest are getting releases alongside some of this year’s nicest TV sets. This week, fans can choose between purchasing Christopher McQuarrie’s big action flick, Jack Reacher, Andy Muschietti’s terrifying horror flick, Mama, and the newest Nicholas Sparks adaptation, Safe Haven, which mixes the usual romance up with a few thriller aspects. Overall, there’s a lot to choose from in a lot of different genres of film. Read on to learn about some of May 7th's best releases, and maybe even a few that may have slipped under your radar. Usual Suspects writer Christopher McQuarrie is behind the script and directed Jack Reacher, and it’s the former that is not all that it’s cracked up to be during the film. Reacher is a little heavy-handed at times and occasionally offers lines that are laughable in a bad way. Some of the fodder from the film is taken directly from Lee Child’s Jack Reacher books, so it’s hard to tell if the lines just don’t translate on film. Regardless, what the movie does offer is a straight-up badass in Tom Cruise, who plays the titular character. The quick and clever opening scene introduces us to a crime from a sniper psychopath. It’s entrancing and sickening to watch the unknown perpetrator take his time shooting five victims and when the supposed killer is found, he asks for Reacher. The problem? Reacher is a ghost, a former military cop who has all but disappeared, occasionally picking up his paycheck via money order. With great intuition, Reacher appears on the scene, anyway, to act as a sort-of detective on the case, and that’s when the real fun begins. 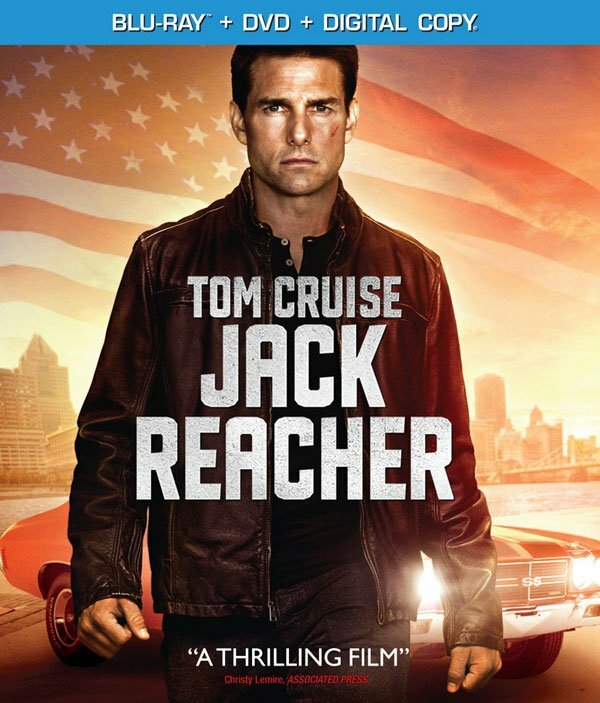 Jack Reacher follows a fairly regular procedural plot, but Reacher himself isn’t a regular character. He isn’t afraid to bend the rules or get involved in whatever brutish fights he needs to in order to get to the bottom of the mystery and determine what really happened. He’s a loner, but he’s still good with people, charming the defense attorney on the case, Helen (Rosamund Pike), and getting chummy with gun range owner, Cash (Robert Duvall). There are both interesting feats of hand-to-hand combat and shooting in the movie, and action lovers will not be disappointed by the fight choreography Cruise and the gang bring to the table. Overall, the action is solid and there is enough similarity from the book to movie transfer that fans of the novels and new fans alike should be able to find reasons to invest in Jack Reacher. We’ll keep you posted if this one gets a sequel. Best Special Feature: There’s been a lot of criticism from fans of Child's’ books that Cruise was signed on to play the role. Reacher is described as a big man, 6’5’’ tall, who comes off as imposing. Cruise is almost the physical opposite of the character in the book, but the bonus feature “When the Man Comes Around” goes to great pains to explain that their were no ideal actors of the right height and shape to take on the role and that there are other facets to Reacher that made Cruise an ideal candidate. Additionally, the segment looks into the role of the villains in the film and how Werner Herzog eventually came to take on an acting role in the film. Getting into casting details is usually pretty interesting, but especially so in this film. There’s no real relief in Mama, the full-length directorial debut for Andrés Muschietti, which was also produced by famed horror man Guillermo Del Toro. From the start things look bad for little girls Victoria and Lilly (Megan Charpentier and Isabelle Nelisse), whose father seems distraught. He eventually crashes the car and takes the girls into the woods, hoping to kill them. Instead a strange and mysterious force takes the crazy parent away, leaving the girls to fend for themselves for years in the woods. Eventually, the two are found and end up in the home of their father’s brother, Lucas (Nikolaj Coster-Waldau) and his live-in girlfriend, Annabel (Jessica Chastain in a selfish, tough-girl sort of role). Things are rocky from the start with the new little family and soon a series of events brings horror into the household that would scare the living bejesus out of anyone, and does for the characters in the film. The two little wild girls, especially, bring an added creep factor to the plotline. Of course, the mystery could never be explained without the help of a scientist sort who gets to the root of the trouble. The girls’ psychiatric caretaker, Dr. Gerald Dreyfuss (Daniel Kash), begins noticing odd behaviors in the girls’ drawings and the eye contact they implement during interviews and is eventually able to draw some conclusions from the behaviors. There may be some general horror tropes in Mama, but it is all used effectively, bringing the right level of scares and revelations to keep viewers invested throughout the entire tenure of the film. 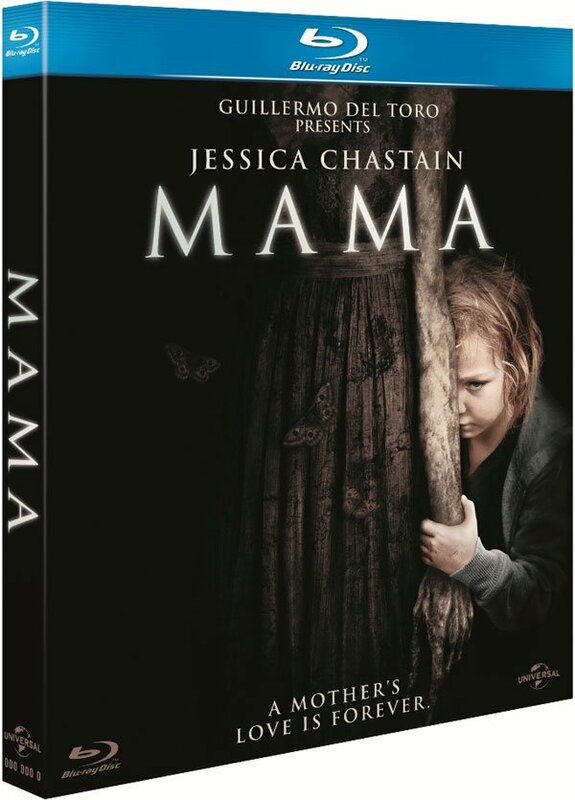 You can order Mama over at Amazon. Additionally, audio commentary for the short is also available. In the audio commentary, Andy Muschietti and Barbara discuss how they put together the short and even poke a little fun at the limitations they encountered when shooting the short film. Del Toro also pops up to discuss how he became involved and invested in the project. If you like the film, there are plenty of interesting bonus features, but the original short is one of the more unique ones. Nicholas Sparks’ novels are not often known for their big twists and turns, but one exception is his Safe Haven book, a title that has recently been turned into a movie about troubled relationships and starting anew. The film stars Rock of Ages actress Julianne Hough as Katie, a young woman who moves to the seaside town of Southport, North Carolina. When we first meet Katie, we know she’s running from something and most notably, someone. While the revelations of Katie’s escape unfold slowly, they never unfold spectacularly, leaving us with a bad subplot concerning a former relationship. The important thing is that Katie makes it to Southport, where she meets a friend, Jo (Cobie Smoulders), and a potential lover, Alex (Josh Duhamel). Both Katie and especially Alex exhibit a sort of “aww shucks” charm in the film that works for their romance. While some of the other side plotlines make the movie a little more of a thriller than a romance, none are quite as satisfying as the young romance in the film. Director Lasse Hallström is obsessed with realistic moments in Safe Haven. For every shot of Alex and Katie creating romantic moments on boats, there are shots of Alex sweating as he lugs around objects for neighbors and cracks bad jokes about basmati rice. These moments are most apparent with Alex’s kids in the film, who never come across as charismatic and calculated little actors and instead come across as two young people you might run in to in real life. Safe Haven isn’t a perfect movie or a great one, but it offers enough reasons and moments for fans of romantic films to invest in. You can order Safe Haven on Amazon. Best Special Feature: The “Igniting the Romance in Safe Haven” segment is a “Making of “ segment describing the relationship of the two main characters, which is one of the highlights of the film. There was apparently a lot of improvisation used in the film, with one notable scene where Katie discusses what it feels like to be abused. This extra is the lengthiest and the most rewarding, although there are a few others, including the deleted & extended scenes, that are worthwhile. It’s the end of an era for a few different shows this week. 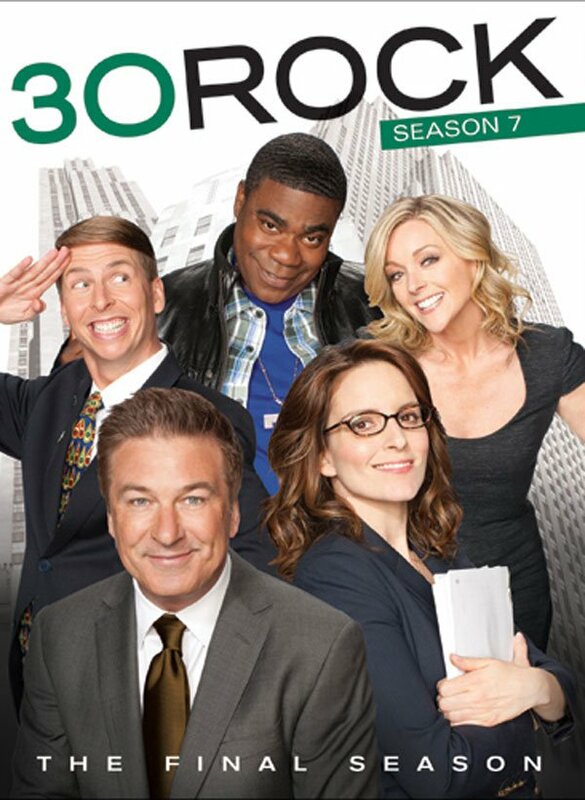 Both 30 Rock and Fringe are putting out their final seasons on DVD (and in Fringe’s case, Blu-ray), today. It’s always a little bittersweet when popular shows, whether mainstream or cult end their runs, and both of these TV series have left major marks on the TV landscape, with 30 Rock bringing a clever angle to the comedy scene and Fringe proving, yet again, that science fiction can work on major network television. You can check out some of the other releases this week, below. All titles come in both Blu-ray and DVD, unless otherwise noted.